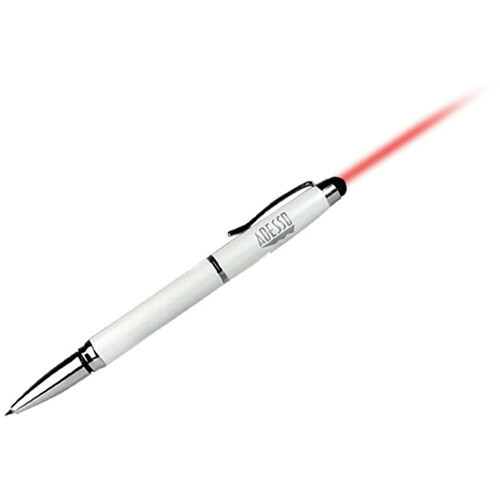 The white CyberPen 301 3-in-1 Stylus Pen from Adesso is the perfect accessory for all your touch screen devices. The stylus rubber tip helps you to navigate, draw, take notes and interact with all your touch screen devices more accurately and fingerprint free. It also features an ink pen to quickly jot down notes on paper. Simply twist the pen barrel for instant access to the pen. Moreover, it also functions as a laser presenter, allowing you stay on point with a 656' (200m) ranged focused laser.